She thought she'd be safe in the country, but you can't escape your own nightmares and Lis London dreams repeatedly that someone is trying to kill her. 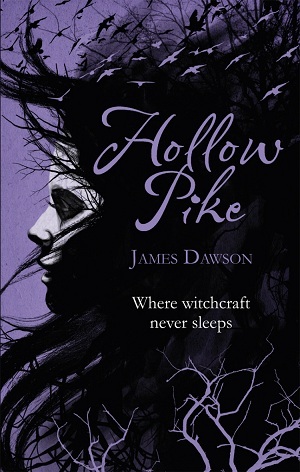 Hollow Pike - where witchcraft never sleeps. When I first heard about this book, I was intrigued. It sounded interesting and mysterious. Besides, how can the mention of witchcraft not be enough to hook me in? Lis London is escaping her life in Wales because of the constant bullying she suffered back home. When she moves in with her sister and her family in the small town of Hollow Pike, she's looking forward to a fresh start. And it seems to be going well. At school she's quickly adopted by the popular girls, even though she's drawn to the 'freaks'. But she soon discovers that these popular girls are awful, and becomes their enemy when she starts crushing on the same boy as the queen bee, Laura. This mean girl makes up an awful rumour about Lis in hopes of squashing her and pretty much makes her school life a living hell. 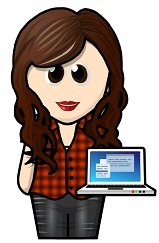 However, Lis is slowly becoming good friends with Kitty, Delilah, and Jack, and they hatch a plan to ridicule Laura. Unfortunately, it all backfires when Laura is found murdered in the copse they lured her to. Before she realises it, her life starts to fall apart as her nights are haunted by strange nightmares and her days are filled with trying to solve what's going on. The only bright spot in her life is the boy she likes, Danny. Hollow Pike is an amazing book. I was hooked from the very beginning and really enjoyed following Lis into a new chapter of her life in this creepy, yet interesting town. I found myself trying to put all the pieces together and couldn't wait to find out how everything fit. And I wasn't disappointed. The conclusion was so thrilling and tense, I was on the edge of my seat as Lis finds herself so deep in trouble that it echoes her nightmares. Wow. This is a seriously awesome--and very well written--book! I loved it. It's going straight to my keeper shelf.